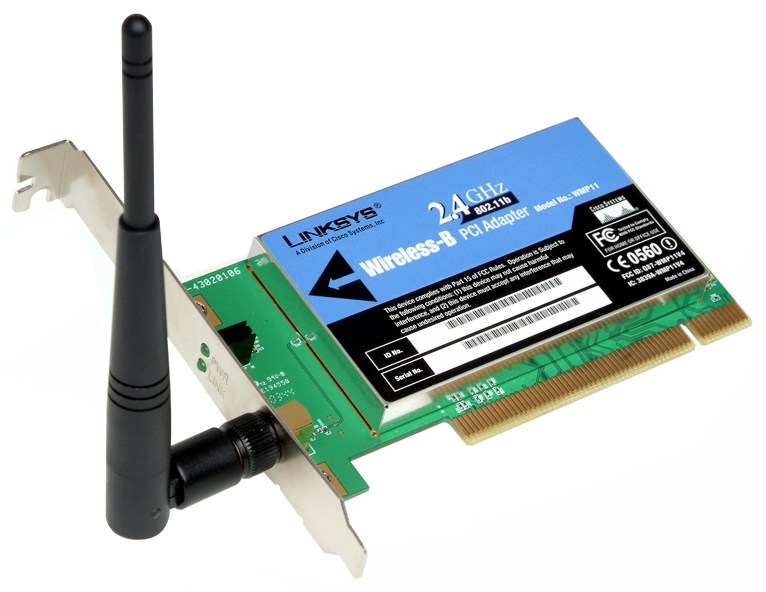 The WMP11 is a Wireless-B Network Adapter. It is an internal adapter that lets you turn your wired desktop into a wireless computer. The Network Adapter's LEDs display information about its network activity. 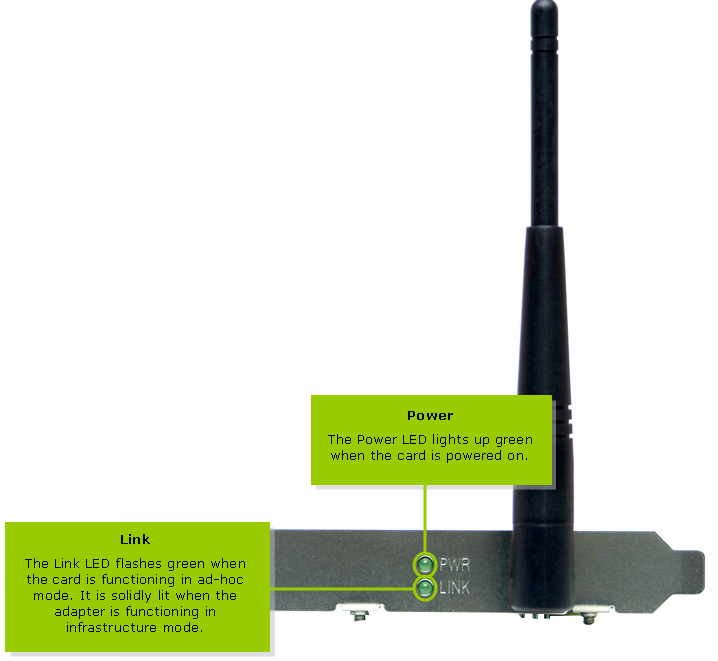 There are two LEDs on the WMP11, Power and Link.